The following is a guest post from John Lewis of PriceCollate. The first few years of the social media boom, various employers tried to fight the presence of social media in the workplace, especially among those staff members who had regular access to the internet at their workstations. Today, however, the employer outlook to social media in the workplace has changed significantly, partly due to the inability to filter it out and partially as a result of a more strategic approach to tapping into the power of the internet for contemporary business activities. With the advent of the internet, many employers did not provide online access for any of their workers, even those who were stationed at computers throughout the majority of the workday. Over the years; however, as internet operations have become a standard part of many positions within a range of businesses, employers began providing internet access to the majority of computers, if not every computer workstation in their businesses. With this change in business practices came new challenges regarding employee productivity and the use of social media as well as other non-work-related internet sites. Initially, most employers tried to prevent the use of different social media and other recreational internet sites. Many actually locked out social media sites from their work computers, investing additional time, money and resources in their IT departments and staff in order to police computer usage and the use of social media in particular. Over the course of time, this kind of policing by employers became overwhelming, costing much more than it was worth. The fact that most businesses now hold a social media presence as part of their marketing initiatives also changed the perspective of the majority of employers with regard to their own employees’ use of these kinds of sites while on the job. Not only do they no longer attempt to prevent all employee use of social media, many employers actually expect, if not encourage, the use of these kinds of websites on the job. In the majority of workplaces in which you find office staff, employers anticipate that their workers will periodically visit social media sites and use the internet occasionally throughout the work day to complete other personal activities. Of course, internet use, including social networking, is still expected to meet certain guidelines and to remain within a reasonable duration. 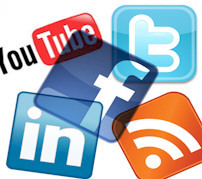 However, employers no longer waste excessive time, resources of dollars on preventing social media usage on the job. Even if they did try to take that ability away from their computer-operation positions, many employees now how mobile access via their cell phones and other hand held devices, so employers realize that “outlawing” internet and social media use on the job is a losing battle. Many of today’s employers have decided to use their employees’ interest in social media to feed their own business marketing activities on social media sites. After all, their employees provide them with free activity and promotion on their social media pages. There must be limitations put in place to govern the kind of information and the type of content that employees post while on the job, but smart employers realize that social media activities from their employees are yet another of their human capital resources which can benefit the organization as a whole.